In news that shouldn't be shocking to anyone, Talor Battle is returning to Penn State for his Senior season. Battle put his name in the NBA Draft but there was no way he was going to miss a chance to play with his half brother Taran Buie next season. Battle's decision comes after scouts projected him to be a late 2nd round or more likely an undrafted pick. Last year Battle averaged 18.5 points a game shooting 42% on the season. 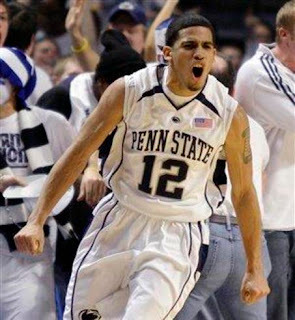 He was the only reason to watch Penn State basketball. Looking forward to seeing him in action next year, then the NBA.